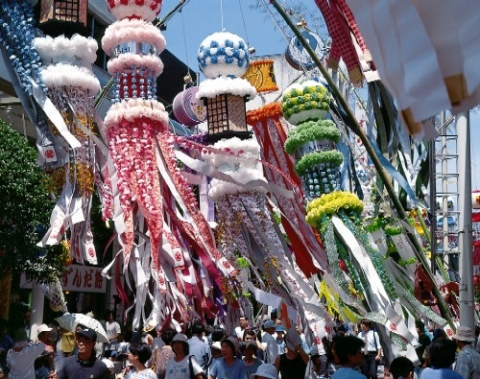 By purchasing a ticket to Japan, you get a unique opportunity to see one or more of the many Japanese festivals arranged throughout the year. The Japanese festivals called matsuri , and are happy magnificent spectacle that draws you to the head and makes an active part in the celebration. 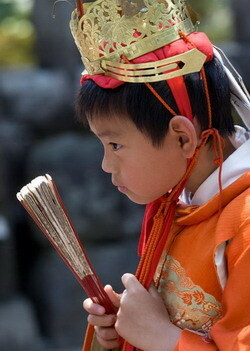 Many festivals have religious overtones, others are organized just for fun local people and for the sake of tourists. The religious festivals of the foundation is very strong, because the spirit world, personifying the forces of nature, has always been important for the Japanese population. The natural world is full of gods, spirits, which the Japanese call “kami”, and these need to pacify the spirits, to give offerings to them, entertain and ask. It is devoted to these problems, most festivals. 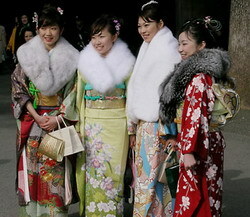 Impressions received from Japanese festivals overshadow everything seen before. In order to enable you to navigate better in the world of Japanese festivals, we offer you a detailed calendar for the whole year, with the description of all holidays. 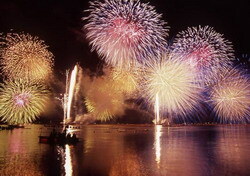 Japan Calendar of festivals and national holidays. 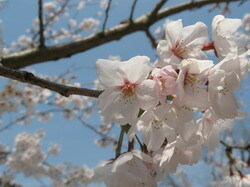 Spring in Japan – a favorite time of year, in the spring flowers symbol of the country – cherry and Japanese plum favorite. Plum begins to bloom as early as the first week of March and beginning with this first flowering until the petals fall Sakura, the Japanese are happy spring, celebrating the renewal and new life. Spring in all regions of Japan extraordinarily beautiful – the whole country is buried in flowers like the flowers of fruit trees, and the lotus flowers and camellia, beautiful iris and humble mustard. Festivals flowers are held in all parts of the country. Calendar of spring holidays . Venue: city of Nara, Todaiji Temple. Description: omizutori Festival – the ritual of taking the water. The ceremony is held in the light of the special torches made ​​of pine, the ritual of taking the water is unusually beautiful and solemn.The most interesting part of the festival – the night of March 12. The time of: 3 March. Description: Puppet Festival – celebrated by all families in which there are girls. 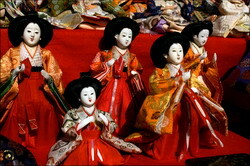 Traditional dolls dressed in clothes exhibited on display, made ​​to go on a visit, give and share dolls. Venue: the city of Nara, Kasuga shrine. 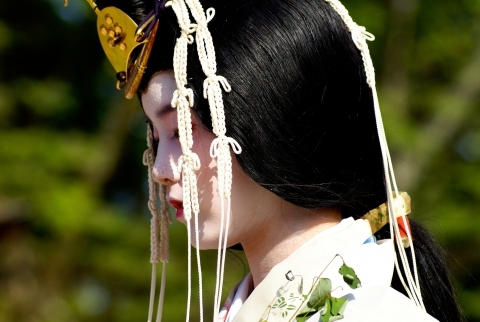 Description: Festival of Kasuga – a beautiful dance festival with dances, which are performed unchanged for a millennium. Time: March, 15 days in the middle of the month. Description: The second tournament of traditional Sumo. Description: Festival Miyako Odori – dance festival dedicated to traditional dance Sakura, who turns girls located on learning from geisha. Venue: throughout the Buddhist temples. Description: Hana Festival – festival of colors, which symbolizes the birth of the Buddha. 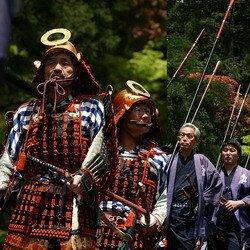 Description: Festival Takayama Matsuri – parade of huge platforms made ​​in the form of the temple building. Venue: City Nobody Furasan temple. Description: Festival Yayoi Matsuri – the parade of platforms, depicting the building of the temple. Description: Festival Hakata Dontaku – a procession of horsemen, embodying the major Japanese gods. 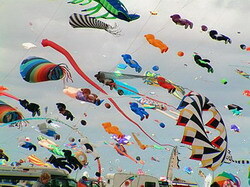 Description: The festival of kites – kites are organized fights in which two giant snake depict battle. She plays the one who first touches the ground. Description: The children’s holiday – holiday symbol is embroidered carp. 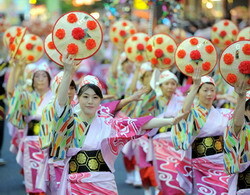 Japanese women group dancing during a summer festival in Sendai,Japan-Aoba Dori Matsuri. 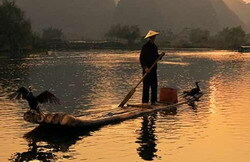 Description: Traditional fishing – is characterized by the use of cormorants. 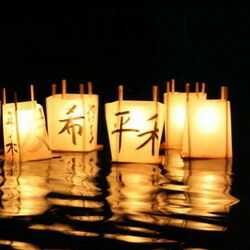 Description: Festival Aoi Matsuri – a holiday flowering marshmallow. Time of event: May 15 days in the middle of the month. 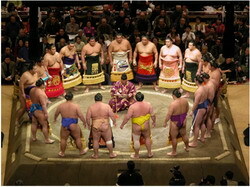 Description: The third tournament of the traditional Sumo . Time of May, middle of the month, only on odd years. Venue: Tokyo, Kanda temple Medzin. 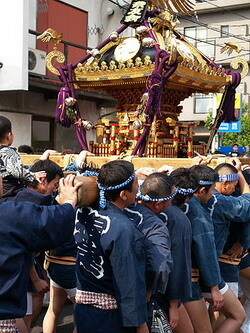 Description: Kanda festival – parade floats that are considered sacred. Venue: city of Nikko, temple Tosegu. 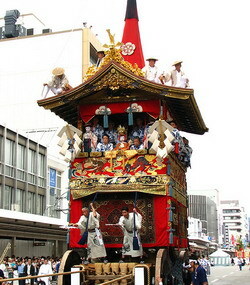 Description: Tosegu Festival – procession of palanquins, collecting a huge number of participants. Time: May, the third Sunday of the month. Venue: Kyoto City, Ou river. 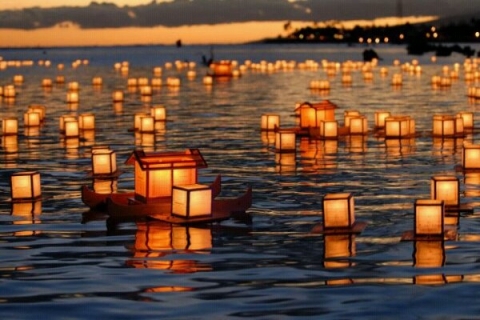 Description: Mifune Festival – procession of ancient boats, a string of floating on water. Time of May, the third Friday, Saturday and Sunday of the month. Description: Sanja festival – parade temple layouts. in all parts of the country held festivals, traditional festivals and the night sky is often effectively blooming lights of fireworks. Calendar of summer holidays . Time: June, middle of the month, every second year. Description: Festival of Sanno – procession platforms in the form of temple building layouts. Time: June, the second Saturday of the month. Venue: the city of Morioka. Description: Festival of Traction-Traction Umakko – march festively decorated horses. 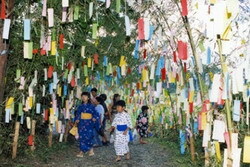 Description: Tanabada Festival – made ​​stand decorated with colorful paper strips sticks or staves, before any input, both in the house and in the gardens. Time: July, 15 days in the middle of the month. Venue: the city of Nagoya. Description: The fourth tournament of traditional Sumo. Time: July or August, the number of 13-15. Description: O-Bon – festival of All Souls – is characterized by performing special rituals and performance of traditional dances designed to appease the souls in the other world. Time of event: July 14th. Venue: Town Nachi-Katsuura, Nati temple. 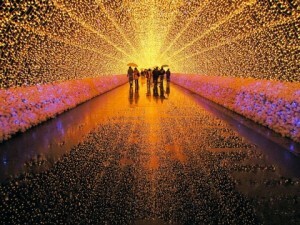 Description: Himatsuri Festival – a festival of fire, during the festive procession of monks in all white are huge torches. 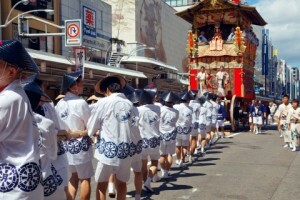 Description: The festival Hakata Gion Yamagata – long festival, ending with a parade of floats. Description: Festival Gion Matsuri – parade floats, which differ in huge sizes and rich decoration. Time: July, last Saturday of the month. Description: Festival Kangensay – a musical celebration with dancing and music performance of the palace. Description: Tenjin Festival – procession of boats transporting models of the temple building. Description: Festival Kanto Matsuri – festive procession carries a long bamboo pole, which secured the Japanese paper lanterns. Time of event: August 5 – August 7. Description: Hanagasa Festival – Dance Festival, which residents perform in the streets, dressed in a traditional hat made ​​of straw, decorated with bright colors. Time: August 12 – 15 August. Venue: the city of Tokushima. 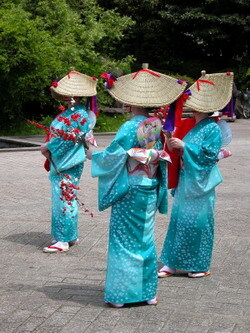 Description: Festival Awa-odori – dance festival. Description: Festival Diamonds Bonfayer – holiday hundred fires have been laid out in the shape of the Japanese character “give” that incite to the city adjacent to the mountain. Autumn – the most blessed time for festivals and celebrations, as it’s time to harvest. The whole territory of Japan is changing in the fall, and nature is particularly beautiful – golden rice fields, foliage, affecting its multicolored, mountains, frozen in silence waiting for the first snow.September in the country on the temperature conditions not very different from the summer, and only in October brings the first cold snap. Holidays, carried out in different regions of the country in the fall, are very diverse and interesting. Venue: city of Kamakura, a temple Tsurtsgaoka Hachiman. 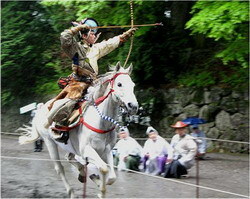 Description: Festival of archery – competitors shoot at targets while riding a horse. Time: September, 15 days in the middle of the month. Description: The fifth tournament of the traditional Sumo. Description: . County Festival – performance of the dragon dance Origin of dance and traditions of its performance related to the Chinese culture. Time: October 7 – 10 October. Description: Festival Takayama – march ornate palanquins. Time: October, middle of the month. Description: City holiday, accompanied by a crowded procession of residents in traditional costumes of the feudal princes. Venue: Himeji City, Matsubara temple. Description: Kenko Festival – a unique festival of scandals, unusual and original show. Time: October, middle of the month – November, the middle of the month. Description: Festival chrysanthemum – the flower show held in the largest churches in the city. Time of the 17 of October. Venue: the city of Nikko, temple Tosegu. Description: Tosegu Festival – procession of palanquins with sacred significance, accompanied by a procession of armed servants in traditional costumes. Venue: Kyoto City, Yucca temple. 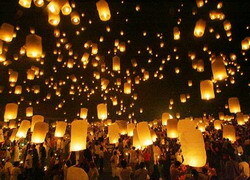 Description: Fire Festival – a grand spectacle during the festival the way to the temple are decorated with rows of burning torches. Time: November 2 – 4 November. Venue: City Saga Karatsu temple. Description: Festival Okunti – majestic procession floats. Description: Festival Geretsu Daimyo – a massive procession, all members of which represent the feudal lords of ancient Japan. 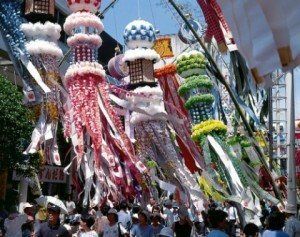 Description: Festival Tori-no-ichi – festivities, during which arranged colorful fairs. Time: November, 15 days in the middle of the month. Description: The sixth tournament of traditional Sumo. Description: . Children’s festival at the age corresponding to the odd dates 3,5,7 Children with parents visiting the sacred places and express their gratitude to the gods. Winter in Japan is different severity, and allows winter journey across the country to be comfortable and enjoyable. 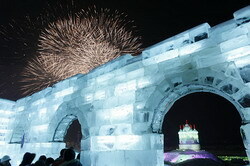 Winter – it’s New Year celebration, exciting festivals, ice sculptures and beautiful snowy landscapes. 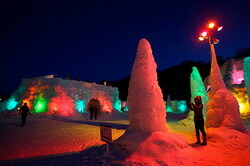 In addition to the New Year festivities, the winter tour in Japan will enable to enjoy the spectacle of one of the numerous festivals that are rich in the winter months. Location: Nara City, Kasuga shrine. Description: Festival He – a festive masquerade procession crowded. Description: New Year’s Eve – obligatory festive meal, fancy clothes and visit the temple of the religion to which the family belongs. In the period from January 1 to January 3, all the country’s enterprises do not work. The time of: 6 January. Description: Dedzomesiki festival – celebration of firefighters, accompanied by a demonstration of professional skills and a parade. Date: January, 15 days in the middle of the month. Description: The first tournament of traditional Sumo. Time: Eve age boys and girls. 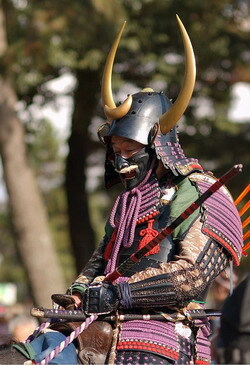 Venue: the city of Nara, mountain Kakakusayama. Description: age celebration – is accompanied by ritual kindling fires on the mountain. Date: February, first week of the month. Description: snow festival – competition sculptors create masterpieces from ice and snow.Participate in the contest everyone can. Date: February, the first or second week of the month. 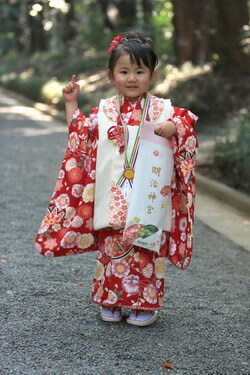 Description: Setsubun Festival – marks the imminent arrival of spring. During the festival decided to throw the beans. 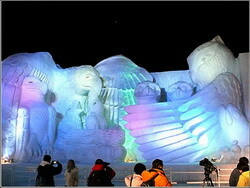 Description: Kamakura Festival – snow festival , during which decided to build a symbolic house of snow. Description: Bogden Festival – procession of young men who carry the symbolic figure of the god. Date: February, the third Saturday of the month. Description: Festival eV – a ritual celebration. If the holiday is considered Japan’s national holiday falls on a Sunday, the output is automatically moved to Monday, so all enterprises, companies, banks and many stores will be closed on this day. If the working day is in between two national holidays, it automatically becomes a non-working day in all of Japan.